José Reyes Wife, What is His Relationship With Katherine Ramirez? Home Sports Who Is José Reyes Wife, What is His Relationship With Katherine Ramirez? Who Is José Reyes Wife, What is His Relationship With Katherine Ramirez? For many people, José Reyes is one of the greatest baseball players of all time. Considering the achievements of the Dominican-American professional baseball infielder, it would be difficult for one to disagree with this sentiment. Right from his rookie year in 2003, the baseball standout has continued to set impressive records as well as clinching coveted accolades and awards, including the New York Mets’ all-time king in triples and stolen bases. Among his many excellent records, Reyes is a four-time MLB All-Star (2006, 2007, 2010, 2011) as well as the National League batting champion of 2011. You will find most of the things you desire to know about the Dominican-American athlete here. Jose Reyes was born on June 11, 1983, as José Bernabé Reyes in Villa González, Santiago, Dominican Republic. He became a U.S. citizen with his wife in April 2018. Records have it that Jose came to the United States in 1999 as a 16-year old; he was thrilled to be finally dubbed a citizen almost two decades later. Jose was scouted by the Mets in 1999 during a tryout camp in Santiago and was subsequently offered a contract which he signed in August of the same year. Having made an impression on the team prior to his joining them, they sent him to the Kingsport Mets of the Rookie-level Appalachian League for the 2000 season, which was an exception to the club’s tradition of sending young players to play in their Dominican academy. Committed to maintaining his excellent form at play, Jose was soon called up to the majors in 2003. He continued to standout setting exceptional records such as leading the National League (NL) in stolen bases in 2005, 2006, and 2007 as well as breaking the Mets’ all-time record for stolen bases in September 2009. Jose became known as one of the Mets’ most popular players owing to his outgoing personality which established him as a fan favourite in New York. After staying his course with the New York Mets, he became a free agent by the end of the 2011 season. Jose signed a six-year, $106 million deal with the Miami Marlins in December 2011, was traded to the Toronto Blue Jays in late 2012 and eventually to the Colorado Rockies in 2015. With these teams, he played most notably at shortstop. Jose Reyes is currently playing for his parent team, the New York Mets. His second stint with the team started after he signed a minor league contract with them in June 2016. 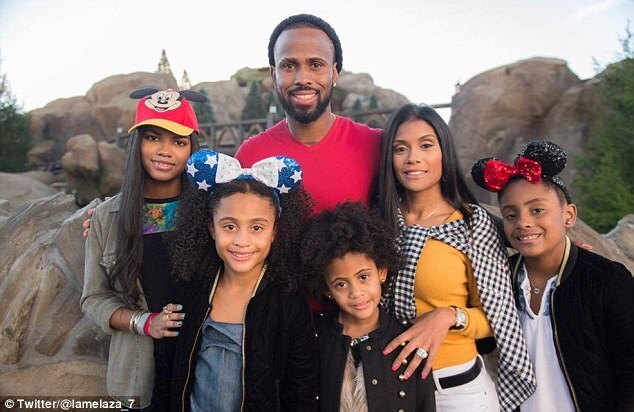 Relationship with Katherine Ramirez, Who is José Reyes Wife? Katherine Ramirez is the wife of the Mets’ shortstop. The duo got married on July 25, 2008, in a city hall on Long Island, New York. They met in 2003 during his rookie season and have stayed together since then. Their family has since expanded with four children; a son Fernando and three daughters – Catherine, Ashley, and Joselyn. However, as common with most high profile marriages, their union was troubled by a scandal. Jose was caught up in the web of infidelity with model and singer, Christina Sanchez a few months after his nuptials. The double game resulted in a daughter, Liyah in 2009, a secret Jose and Christina managed to keep away from his wife. But then, the secret wouldn’t remain a secret for a long time as the truth surfaced in 2015 when Katherine Ramirez learned of the relationship. 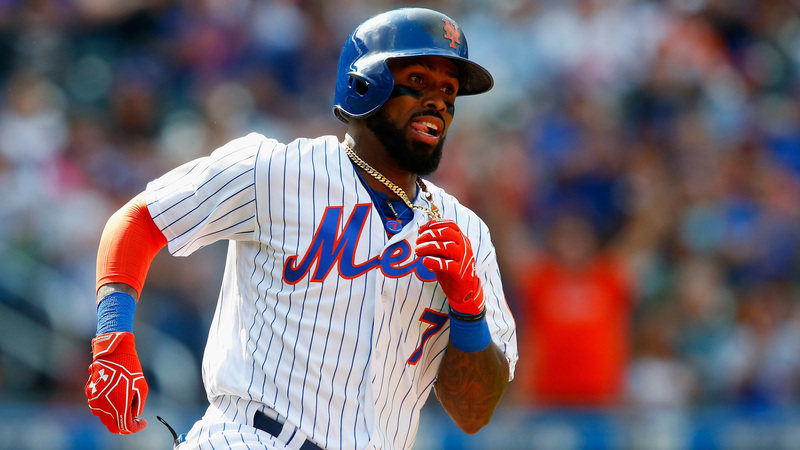 Following the revelation, Jose Reyes stopped seeing and supporting his child with Miss Sanchez, a situation that provoked the model to call out her baby daddy for child support. She claimed that the baseballer was shying away from his responsibilities. As such, she sued him at the Nassau County Family Court over unpaid child support. She even asked for a significant increase and provision of health insurance for their child. This was in 2017. The two has, however, been in a relationship before the baseballer got married to his wife. It is said that Christina only got to learn about the nuptials from the media. According to her, she was disgusted when she learnt that the baseball star married Katherine. Apparently, she was set to end her relationship with him but learnt a few weeks after the marriage that she was carrying his child.